Amsterdam, The Netherlands – Philips Hue has become the world’s most versatile connected home lighting system following the creation of over 200 third-party apps that transform the way people experience and interact with light. 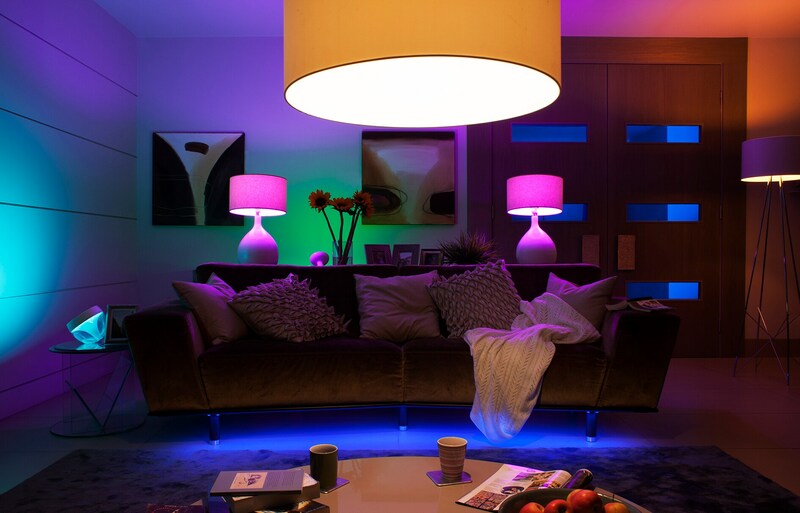 Last year Royal Philips, the global leader in lighting, took the pioneering step of granting open access to Philips Hue software, and encouraging developers to find creative new ways of integrating digitized light into the home. Philips Hue sits at the center of the Internet of Things and is a driving force in collaboration between like-minded innovative companies such as Apple and Logitech. Through partnerships such as these, Philips Hue will be able to communicate with appliances, heating, blinds and much more, delivering innovations that impact on people’s lives everyday. The latest Philips Hue API documentation and language rules for programming. Philips Hue’s developer platform makes it easy to create new applications and business models for light, and just last month Philips Hue was awarded ‘Top API for the Internet of Things’ at the annual ‘I Love APIs Conference’. Washing the walls with the dominant on-screen colors, Syfy Sync allows viewers of its movies from the cult Sharknado franchise a heightened cinematic experience. The Philips Hue-enabled app listens to a specially-designed ‘light-track’ to take its cues and adjust the connected lighting to make you feel part of the action. Alternatively, turn your room into a light effect for your TV with Huebilight, setting your lighting to mimic your favorite program or sporting event. A variety of music-related apps allow you to mix your music with light and other visual effects to make your evening entertainment truly memorable for you and your desks. Splyce, Hue Party and Ambify are just a few of the apps that listen to your music and turn your living room into a light show, with options for special effects from a strobe to romantic flickering candle for those ballads. From Halloween to Christmas, seasonal apps can make entertaining more fun. Sound effects sync with your lighting to create the desired effect, from spooky to festive to New Year’s fireworks. Huedini helps you soothe stress and relax after a hard day’s work by slowly pulsing your lights up and down like a breath cycle, while apps like Espresso for Hue use smart themes inspired by the most beautiful places on Earth to generate subtle light combinations – and even makes them flow and change slowly over time if you want.